While PHP is capable of performing HTTP requests towards external servers with any method, either via the HTTP extension or by opening streams directly, the support of the various GET, POST, PUT and other verbs on the receiving side of HTTP requests is a bit more complicated. GET is a safe, idempotent method and it is used to retrieve a resource. POST is considered a catch-all method nowadays, but its intent is defining a subordinate resource to the current one. For instance, posting to a blog resource may create a new post. PUT is the analogue of GET used to send a resource to the HTTP server. DELETE is the analogue of GET used to, of course, delete a particular resource. 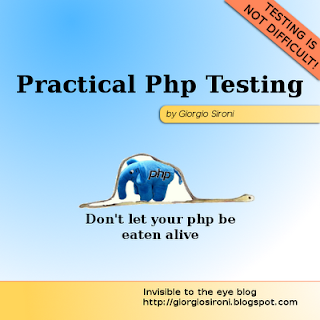 But how can we detect the HTTP request method in a PHP script? For the common methods, such as GET and POST, the superglobal arrays $_GET and $_POST are always available and contain the request parameters. You may want to wrap them with an object-oriented interface, and note that in the case of files upload via POST you should also look at the $_FILES superglobal array. The manual and the user comments are also a valuable resource for common pitfalls in implementing this type of endpoints. With regard to the DELETE requests, the same configuration is valid to route the requests to a single entry point. Then, it's a matter of identifying the right environment variables, which may vary depending on your HTTP server. Fortunately, PHP frameworks do most of the work, and you are free to programmatically implement different behaviors depending on the type of the request. I'm not a fan of multiple php files as entry points for a web application. So I'd recommend checking $_SERVER['REQUEST_METHOD'] early on, and dispatching based on its value. Also, I'd have a look at stream_get_contents() as it might work where file_get_contents() does not. Yes, the directives can point to your index.php, it was only an example. The important thing is to rewrite the request someway so that PUT /resource/name won't look for a resource folder. parse_str(file_get_contents('php://input'), $data); //works perfectly fine for put and delete request methods. after the above line of code, your $data variable will have nicely parsed request data.